Since the end of 2011 Antic Teatre has been developing a community project with local residents of our Casc Antic district of Barcelona. 2017 will therefore be its fifth year. 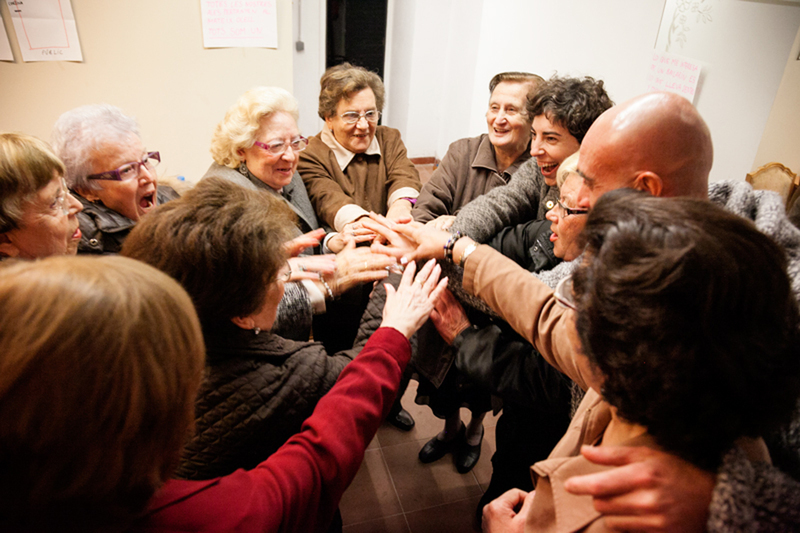 This project consists in creating an artistic performance piece with some of the senior citizens who live near the Antic Teatre, and in recovering each of these neighbours’s memories about the area and their roots in the Sant Pere, Santa Caterina i La Ribera neighbourhood of Barcelona. By doing this we aim to encourage and highlight the inclusion of older people in local cultural activities, intergenerational co-operation, and relations and cohesion between the various senior citizens who live here. We believe these aims are vital as this particular collective is one of the worst affected by gentrification and neo-liberal policies, which abandon many elderly people (who have worked all their lives) to poverty, lonelines, mobbing and being forgotten. The artistic tool used for working with this collective is dance, as it encourages knowledge of one’s own body, has health benefits, helps teach correct breathing and moving confidently within a space. – A free dance and movement workshop directed at local senior citizens over the course of the year. – Two performances at Antic Teatre of the work being produced at these workshops. – Various intergenerational workshops and collaborative dissemination activities. It must be noted that the Ritme en el temps team have been part of the GREC Festival’s official programme in 2015 and 2016; we expect this to continue in 2017. 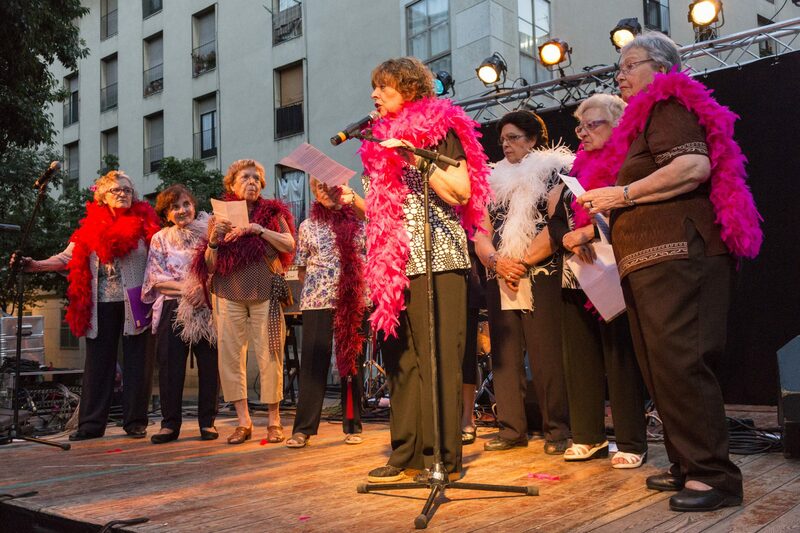 At present there are around 15 to 20 women aged between 65 and 92 taking part in Ritme en el temps. The project is run by Marta Galán Sala.